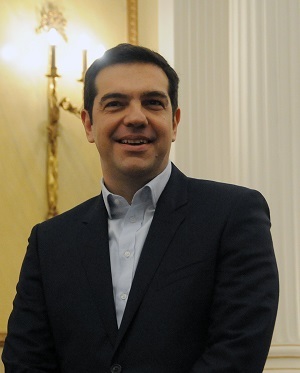 During the last months, there has been some discussions about the fact that Germany has not paid back its debt towards Greece at the end of World War II. We have looked into it in order to have a clearer view of the discussions, and in fact seen that we may need to be a little more creative in order to solve the present crisis. Between 1941 and 1944, the Nazis have obliged Greece to lend them 476 millions Reichsmarks (the German currency until 1948), which in fact meant that Greece occupation has been paid by the Greeks. ..This “loan”, which represents 15 billions euros, has never been reimbursed by Germany. If you use an moderate interest rate of 3 %, you arrive to a German debt of approximatively 75 billions euros. Some Greek governments have asked this money back, but it was abandoned when Greece needed Germany’s support for getting in the EU and benefiting from EU structural funds. The German Bundestag has debated it, and some of its political groups seem to consider that, should Greece go to the UN International Court of Justice, it could win its case. In addition, after the war, Germany has not been asked to pay any war damages to the countries it occupied, and Greece, with Poland and Russia, has been one of the most destroyed countries. This debt would be the most expensive, possibly representing 80 to 100 billions euros, but also the one for which there is not really a legal justification, considering what were the international agreements after the war to help to rebuild Germany. From a general point of view, you can read in the German newspaper Der Spiegel about the Greek position here, and the German position here. The London Agreement on German External Debts (German: Londoner Schuldenabkommen), was a debt relief treaty between the Federal Republic of Germany and creditor nations (Belgium, Canada, Denmark, France, Great Britain, Greece, Iran, Ireland, Italy, Liechtenstein, Luxembourg, Norway, Spain, Sweden, Switzerland, South Africa, the United States, Yugoslavia and some others). Germany was given large cancellation of 50% of its debt. The deal covered all debts and all creditors. No one was allowed to “hold out” and extract greater profits than anyone else. Any problems would be dealt preferably with by “negotiations between equals rather than through sanctions or the imposition of undemocratic policies“, and in last resort by German courts. This attitude is exactly the opposite of what the European Union, the International Monetary Fund and the European Central Bank are deciding about Greece and other countries in similar situation. Why is Germany pushing for different solutions? Some people consider wrongly that Germans do not like inflation because it was facilitating Hitler’s rise, but German specialists know that it was the opposite: the deflation policy led since 1932 by Chancellor Brüning, who was a leader of the German Centre Party, with the tightening of credit and a roll-back of all wage and salary increases, has pushed unemployment to the level of 25 % and has helped the Nazis to take the power. In fact, Chancellor Merkel considers that Europe, with Germany at its centre, must be more competitive than the US, China, or emerging countries such as Russia, Brazil and India. And one element of competitiveness is to push down salaries and job security. Italy and France are following, slowly implementing the Hartz reforms imposed in Germany by Chancellor Gerhard Schröder from 2003. We have seen that Greece is not so much pushing for getting back the German’s debts, as it is legally not so established, and it may open some old wounds: after all, today’s German population has nothing to do with the Nazis. But all this is just proving that the EU, with Finland, pushed by Germany, is not at all helping generously Greece. We must realise that, after the introduction of the Euro, we have replaced important money transfers from the most developed European countries to Southern countries such as Portugal, Greece, Italy and Spain, with loans provided by the main banks from Germany, France and Italy, which have been in fact used to finance speculation (in particular in housing) . Then in 2012, in order to avoid a catastrophe for the EU bank system beginning with defaults in Germany, Italy and France, the Greek debt’s restructuration consisted in transferring the risks from the banks to us, EU citizens. So one should hope that somebody is able to avoid the catastrophe in the present negotiations, by accepting more flexibility for Greece: in the present situation, it seems that there is no alternative for the Euro-group than to either crush or perish, and that there is no alternative for the Greek government than to go to the fight or to perish (read the interesting article from economist Jacques Sapir here).